Designed in collaboration with the world's leading creative professionals, this paper is engineered for photographers, artists, fine art reproduction houses, and print-for-pay businesses. Specially coated polyester/cotton blend delivers vibrant colors and rich, deep blacks. Enables users to achieve industry-leading D-Max and color gamut without the use of OBAs (Optical Brighteners Agents). Elastic polymers provide high tensile strength and flexibility for gallery wrap stretching without cracking. 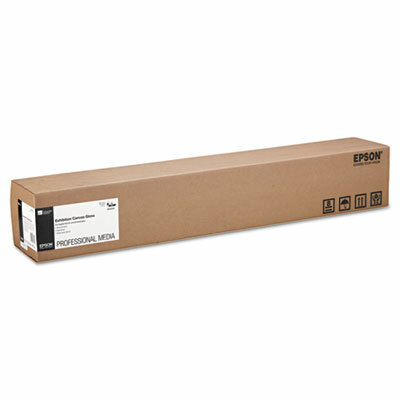 Weight: 0.00 Manufacturer: EPSON AMERICA, INC.